Blurring the line between functional goods and artwork. "They don't make things like they used to"
The J.M. 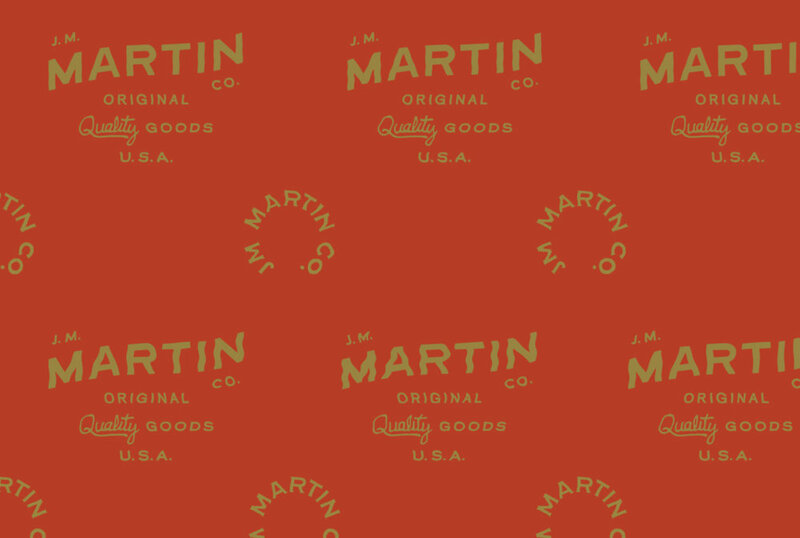 Martin Co. is built upon legacy, heritage and refined craftsmanship. It tells of hard work and high quality. They build with the highest quality materials created using antique woodworking tools. Their wooden boards are focused on presentation and preparation. Develop a visual identity for J.M. Martin Co. It is a heritage brand built on high quality materials and one of a kind pieces that wont be found anywhere else. It will blur the line between functional goods and pieces of art. A simple, handcrafted and legacy mark. The shape is based on the bowtie used in woodworking which is a strong, functional, and beautiful simple shape. The mark is altered to form an “M” It also resembles a crown which reflects quality/high-end and a family crest for legacy. The typography is a simple hand drawn legible serif. The overall mark is simple, carries legacy, and can be a strong and timeless mark that can sustain as they grow.